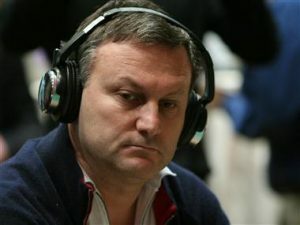 Former WPT winner Vadim Trincher has been sentenced to five years in prison by a New York judge for his role in organizing a wide-scale racketeering and money-laundering operation with direct ties to the Russian Mob. The 53-year-old sobbed in the dock and apologized as the judge handed out the sentence, which was harsher than the prescribed sentencing guidelines and the toughest so far in the case, in which 34 defendants are being tried. Anatoly Golubchik, accused with Trincher of being the head of the US wing of the operation, was also given a five-year jail term, while prominent art dealer and socialite Hillel “Helly” Nahmad received one year for his role in the ring. Both Trincher and Golubchik were also ordered to forfeit over $20 million each, over half of the $64 million in total forfeiture seized from defendants in the case. The poker community was shocked following the news in April 2013 that the NYPD had carried out a string of raids that had resulted in the arrests of some of its own. 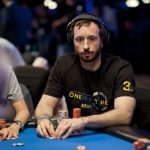 As well as Trincher, a handful of well-known poker players were arrested in connection with the syndicate, including Justin ‘BoostedJ’ Smith, Peter Feldman, Abe Mosseri, Edwin Ting and WSOP bracelet winner Bill Edler. Smith, a small fry in the operation, was sentenced earlier this year to two years of probation and 200 hours of community service, while Ting received five months in prison. The others are still awaiting sentencing. The court heard that bank accounts and businesses controlled by Trincher, Golubchik and others “laundered approximately $100 million in proceeds from their gambling operation in Russia and Ukraine through shell companies and bank accounts in Cyprus,” as well as through live and online sportsbooks that catered to Russian oligarchs. The group also hosted high-stakes poker games, which were attended by many famous poker players and sometimes by Hollywood celebrities, who were procured by the well-connected Nahmad. The operation ran from 2006 until it was disrupted by police in 2013. Of the 34 defendants in the case, the only one still at large is Alimzhan Tokhtakounov, allegedly a Russian organized-crime boss who has been sought by US authorizes since the nineties. Prosecutors alleged that Trincher and Golubchik reported directly to Tokhtakounov. In 2009, Vadim Trincher won the WPT Foxwoods Poker Classic for $731,079, beating Amnon Filippi heads-up, but long before his victory at Foxwoods, he was known in the poker world as a high-rolling businessman who lived in a luxury $6 million apartment in Trump Tower on Fifth Avenue. Vadim’s son, Illya Trincher, was a known player like his dad, and he also stands trial, along with his brother Eugene, both facing accusations of money-laundering. The democrat party just proves they are unfit to lead this Country, they all need to be fired…If this happened in 2013 why wasn’t he arrested back then??? Was it because Obama didn’t want to offend Putin (Russia)??? The democrat party just use political correctness to justify that they’re cowards!!! The only reason they bring it up now is to hurt Trump, because the man was staying at the Trump Tower, which it only back fires, how was Trump supposed to know, with the traitorous Obama administration covering for criminals witch he seems to do a lot of, while sneaking them into America, as Americans are being criticized, lectured to, by the foreigners pouring over the border and our own government the democratic party!! !